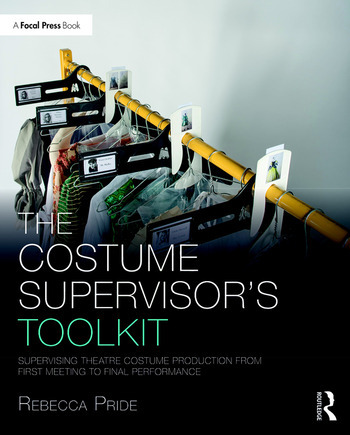 The Costume Supervisor’s Toolkit explores the responsibilities of a Costume Supervisor within a theatrical, opera or dance production company. Rebecca Pride provides an insight into all manner of processes, beginning with a definition of the role, and offers explanations of the timeline from the first design meetings, leading all the way up to managing fittings and final rehearsals. This how-to guide outlines best working practices, including building a team and creating a Costume Bible, whilst also providing helpful resources such as sizing guides, a list of useful addresses, and case studies from renowned theatrical organizations. Chapter 1 What does a Costume Supervisor do? Chapter 7 Sourcing: Construct, Hire or Buy? Rebecca Pride is Course Leader for the award-winning BA (Hons) Costume and Performance Design course at the Arts University Bournemouth. She spent 15 years prior to her career as an academic, working as a costume and set designer in the professional theatre. Her work at the Arts University has included producing numerous costume-led film projects, including Wimbledon Championships 1936-1937, Storytelling from an original point of view, Glass slippers, La Passarella, Reverie, Vampyr and Moulin Rouge.